4 Internal ports, 6Gb/s per port, x4 PCI Express 2.0. Works both as HBA and RAID 1, 0, 10 controller. No cables included. 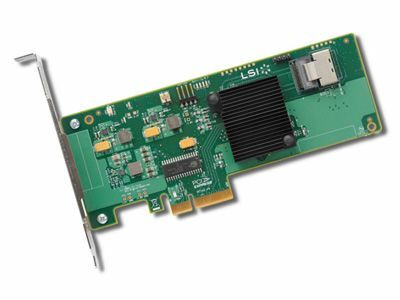 The LSI SAS 9211-4i host bus adapter provides the greatest available throughput to internal server storage arrays through four internal 6Gb/s ports, driving up to 256 SAS and SATA physical devices. This HBA offers dynamic SAS functionality including dual-port drive redundancy and SATA compatibility. Utilizing one internal x4 SFF8087 Mini-SAS connector, the low-profile SAS 9211-4i is an excellent fit for 1U and 2U servers.